A total of 40 Division I college ultimate teams have qualified for USA Ultimate College Championships. The D-I USAU College Championships take place on May 25-28 in Milwaukee. 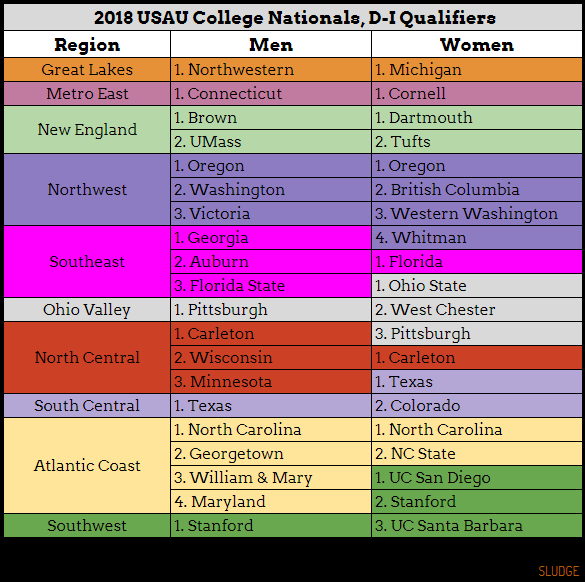 Below are the D-I men's and women's college ultimate teams that qualified for Nationals by region.